I occasionally do research on the family of my friends and in the course of that research I came across Mr. Patrick Quigley. Patrick was born in Ireland in 1836. 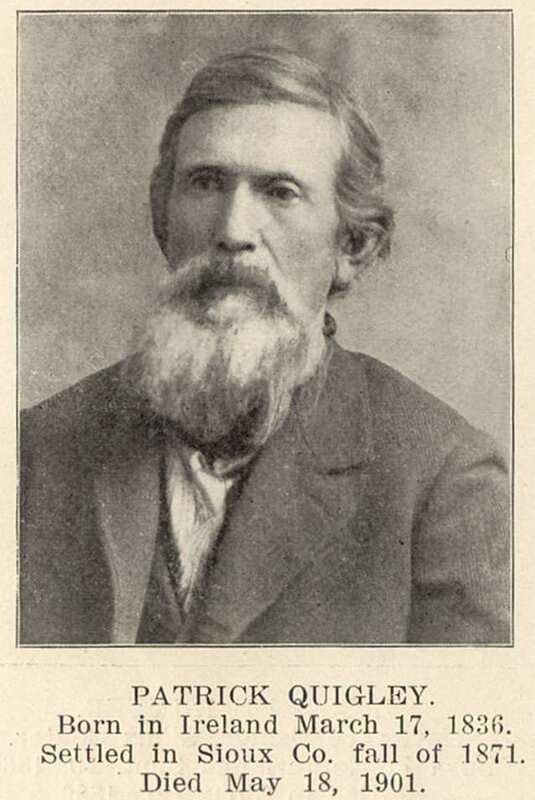 He immigrated to the United States around 1855 and eventually settled in Souix County, Iowa. In honor of all the snow around the south and southeast part of the country I decided to share Patrick's blizzard adventure. Patrick Quigley and the blizzard of 1872.